Zero innovation? I am neither for or against. Though how often do companies release a new product missing features that they had enough time to roll out. Apple is fairly consistent at rolling out products with a technology first. Name another laptop with a PCIe SSD. There are a handful with AC WiFi. And Apple is on the front end of anyone releasing a design with Haswell. I am not going to ignore that the fact is the chassis is the same, but they weren't doing bad with it to begin with. 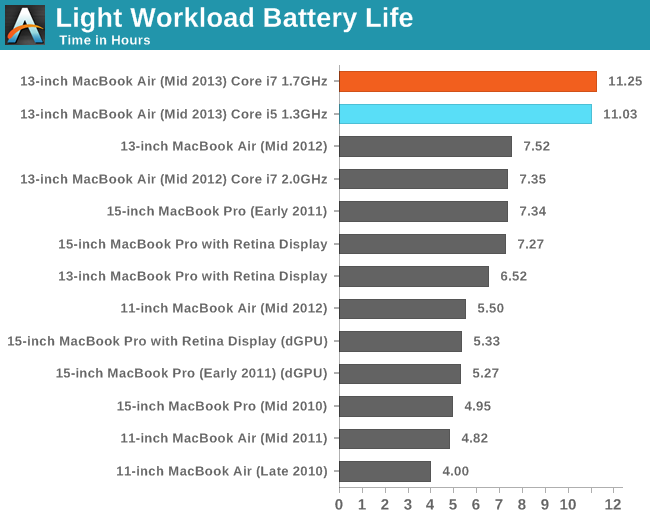 The reality is that to hit 12 hours of battery life the performance was about the same as last year's model. 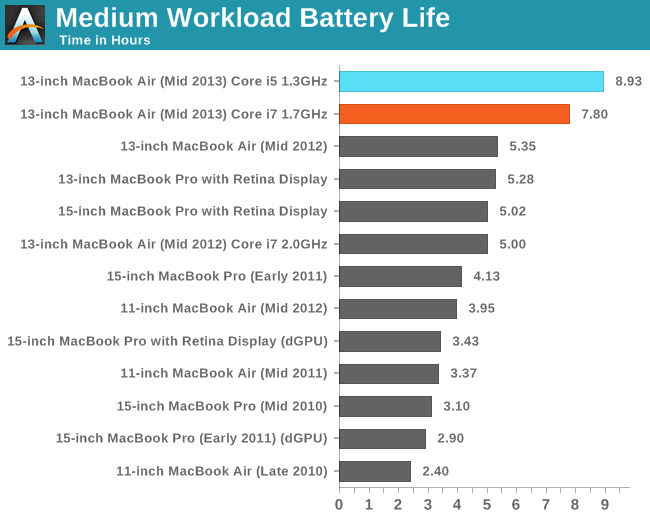 The question was for someone buying a Mac, was there even an option that didn't destroy the battery life gains. 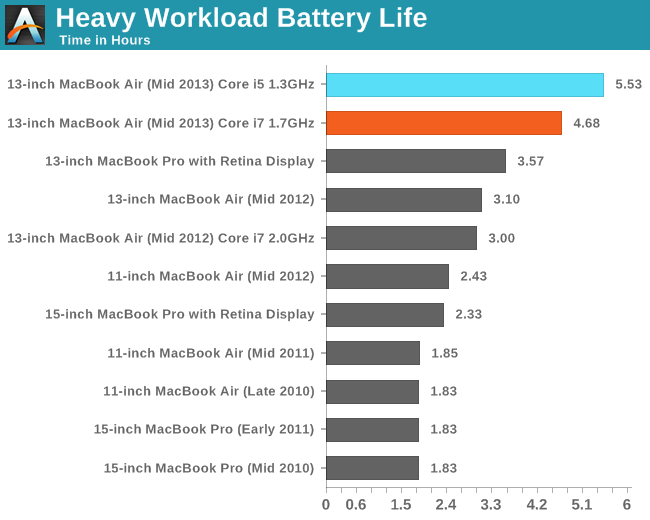 The "best Mac laptop" article was geared towards consumers buying a Mac. It wasn't for everyone. I would not buy a Mac today. Gaming is not adequate for me and buying a title that can still run on my Windows desktop at the same time is a better choice. I would only buy Macs for specific use cases. Maybe editing media. Though I do like Sony Vegas on the PC. We all have our own workloads. Anand, and other testing sites make these loads up to represent what they think is approximately the average for light, medium and heavy workloads. For your usage, you seem to fall to the medium workload, even though you call it light. For others, light is just using a browser with a handful of tabs.